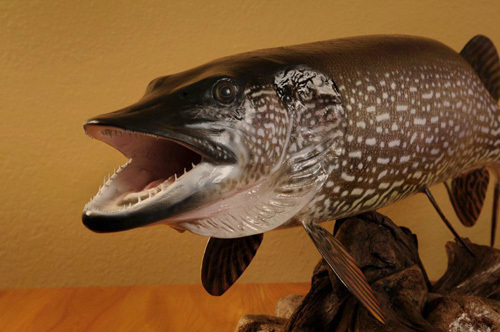 Fibertech Productions, located just north of Brainerd, MN, specializes in fiberglass carbon-graphite fish reproductions mounts. 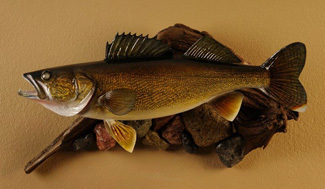 Fish replica mounts made of fiberglass and graphite are a great way to mount your trophy fish and decorate your home, office, restaurant or coffee shop. With the increasing popularity of "The Catch and Release Program", you may be forced to make a difficult decision when deciding whether to keep or release that Trophy Fish. You do have the option of taking a photo to prove you had temporary possession of the wall-hanger, which will shore up your credibility when you share your adventure with your friends and neighbors. Another option is Fiberglass Reproduction, which allows you to release the trophy, and keep a mount. 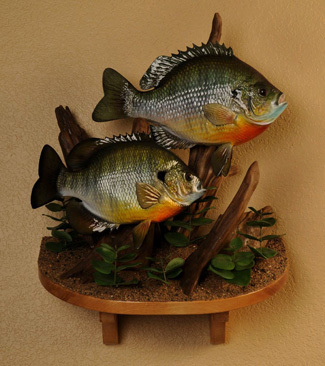 These mounts are made in "true replica form" because the molds are actually made from real fish. Each fish is custom-painted (backed by over 35 years experience) which is important since each fish will vary in color depending on the area where they are caught. A replica mount is also extremely durable and will not fade or become brittle. Why pick fish reproduction over a skin mount? You will eliminate many of the problems associated with traditional skin mounts. Some common problems are: (1) Skin shrinkage (2) A continuous odor you can never get rid of, brittle fins and skin that have a tendency to fall apart (3) Skin mounts leak natural oils that cause the paint to fade and the scales to lift. A carbon graphite fiberglass fish reproduction is an extremely durable, long lasting alternative to traditional skin mounts. The replica will withstand hot or cold climates and will never deteriorate or shrink. The custom paint will never fade and it very easy to maintain and keep clean, simply wipe your trophy with a damp cloth. And finally, the cost of making a reproduction is very comparable, and in some cases less expensive than a conventional mount.